All The Pretty Dresses: 18th Century Jacket! An early 18th century satin brocade Caraco bodice. 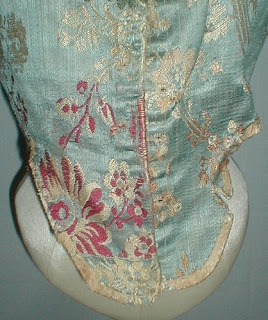 The fabric has a red and ivory floral pattern on a blue background. 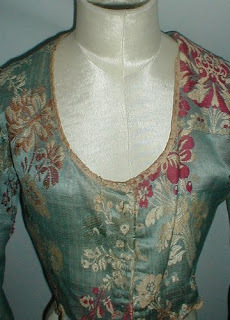 The bodice is all hand stitched. 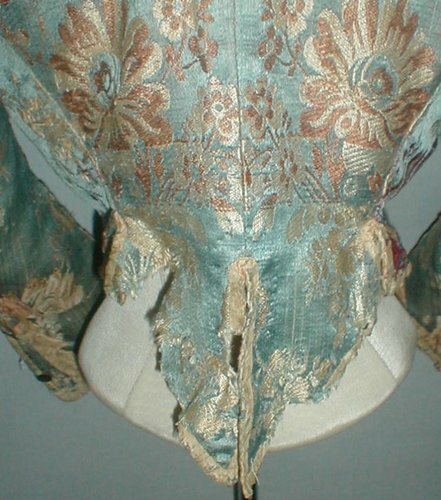 The front of the bodice has hand stitched eye holes for lacing. 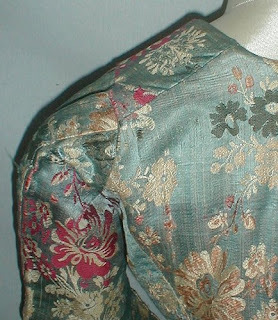 There are remnants of pink silk trim on the sleeve cuffs and decorative buttons. The neckline, sleeve cuffs and hemline are edged with ivory silk ribbon. The bodice is lined with linen. There is wear at the bend of the elbow and missing fabric at one elbow. 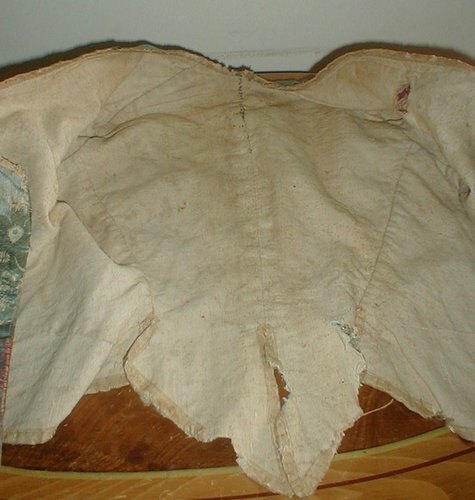 There are a couple of dime size holes and There are splits on one side of the hemline and on the back tails. 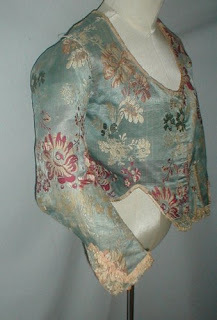 This is a great piece for pattern or for studying how clothes were made during the 18th century. Bust 30 Waist 24. 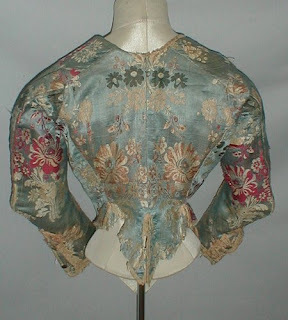 I'm putting this in the 1740's for now but know it's been remade. Ah-ha! That explains why I found it so puzzling. 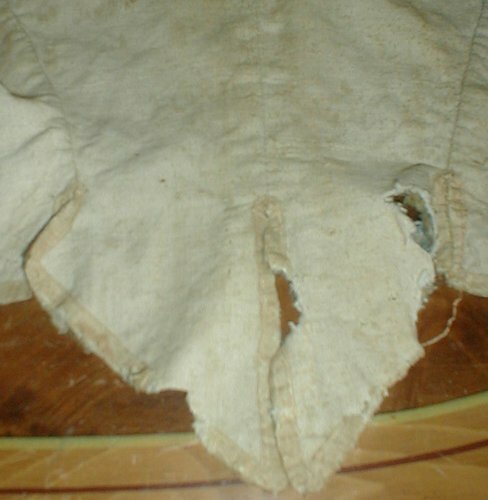 The basque screamed 1870s. Fancy dress strikes again. Yeap! 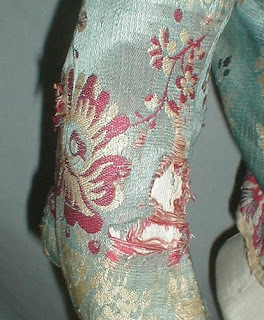 Bustle era destroyed another garment.